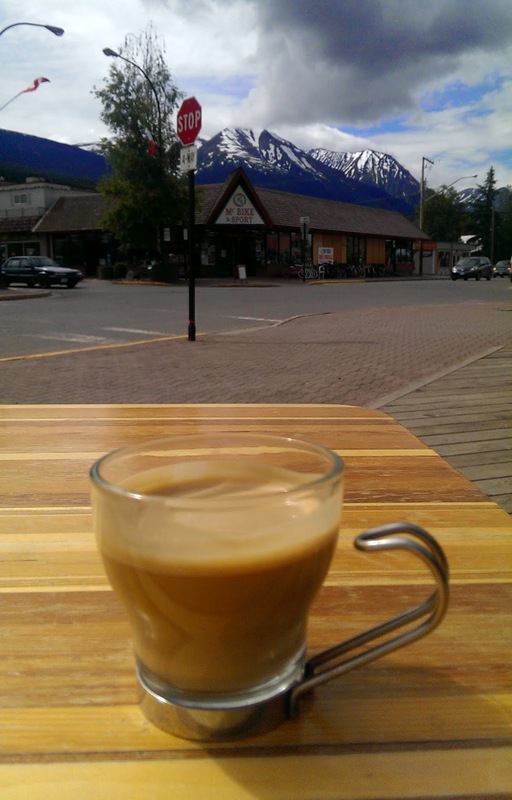 We Discover Canada And Beyond: Alaska and Yukon Bound, Part 3 – Smithers, BC. We had a nice drive from Fort Fraser to Smithers. Nice vistas and pretty good roads. What can we say, we loved Smithers, how can you not? We stayed two days at the Riverside Municipal RV Park and Campground located directly on the Bulkley River. It is very nice. We booked in for two nights. The campsites are fairly good size, full hook ups, but only 15 amp electric. The price was just under $30.00 per night. Firewood was free! We set up camp and then head off to the tourist office, the museum which was flying a Swiss flag and the art gallery. The exhibit there was by the First Nations artist Arlene Ness www.arlenes-art.com It was excellent. She had everything from prints, paintings, carvings and sculptures. She combined traditional native with modern art..... very nice. We walked up main street and visited the stores and chatted with the merchants. Everyone was very friendly. One promoted the Northern Music festival, the other talked about the mining and construction on the Cassiar Hwy., and the third even knew late John Schibli. Lots of Swiss people had settled in Smithers. 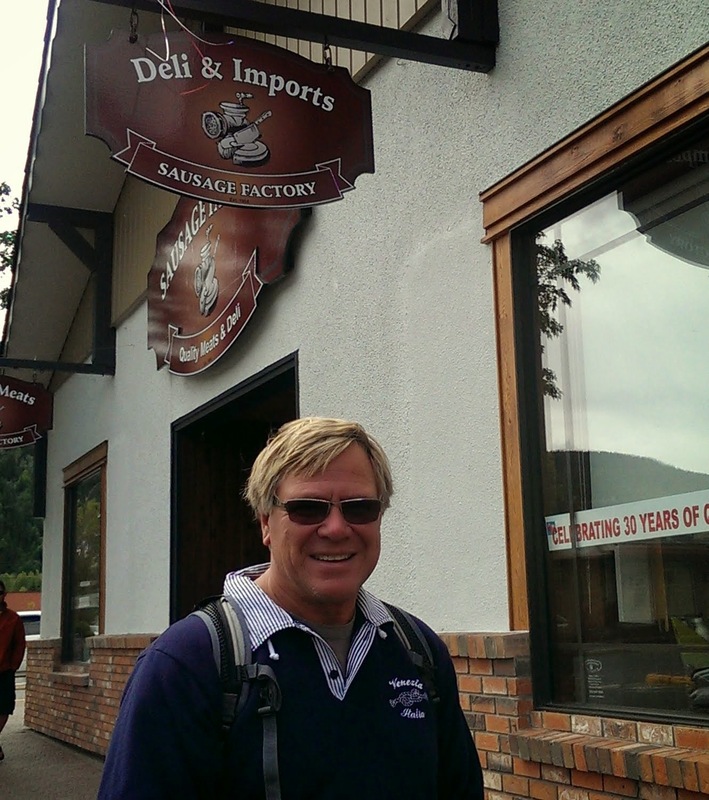 Walking down main street, we stumbled on the “Sausage Factory”, and I had to buy some sausages of course. There were lots of “Help Wanted” signs, the economy seems to be pretty good in Smithers. Apparently fishing is really big here in late summer and fall. Many people from all over the world come here to fish. There are so many lakes and rivers in the surrounding area. There is also a fair amount of new construction in the area. New homes are selling in the $400,000 range. We drove up to the ski hill. There too, construction of homes that offer fantastic views over the valley and other mountains were going on. Back at camp we had a nice evening with a campfire. Tomorrow morning (Saturday) we will take in Smithers' Farmers market. It is the largest in Northern BC.